We will provide a complete air conditioning design service for you. Talk to our experienced team about our range of air conditioning systems to meet your needs and of course budget. Our heat pumps are an all year round solution! Air conditioning repairs and maintenance are all part of the service, here at Absolute Air Conditioning. Help control your energy costs and ensure you meet your health and safety responsibilities with our cost-effective and timely air conditioning maintenance options. We know that keeping on top of your air conditioning maintenance can be tricky, especially when you or your business is already snowed under with other tasks. That's why Absolute Air Conditioning are ready and waiting to take the hassle off your hands. Located in Ellesmere Port, we work across Chester, Liverpool, Warrington and the Wirral. At Absolute Air Conditioning, we offer a complete repair and maintenance service for all types of air conditioning systems all at extremely competitive prices. As part of our air conditioning repair service, we can diagnose the issue with your state-of-the-art system and repair it there and then or even come back at a time that suits you and your business. Looking to upgrade your air conditioning system? Find out about our air conditioning installation service - speak to an engineer or contact our team today on 0151 512 2519. We provide air conditioning repairs and maintenance across Ellesmere Port, Chester and Warrington, Liverpool and the Wirral. A brand new air conditioning design can provide heat pumps which are much more efficient than standard electrical heating systems. 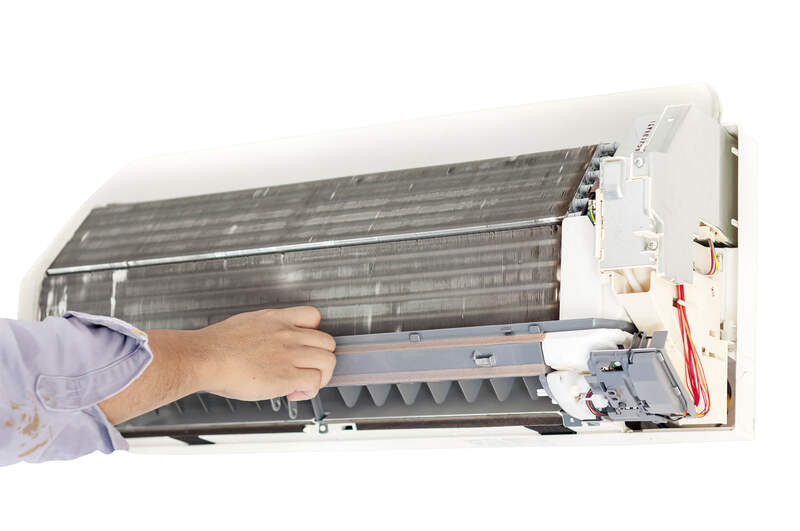 How Our Heat Pumps Work? Heat pumps work by extracting available heat from the air outside, in turn making them much more efficient than most fossil-fuel based heating systems. We can diagnose the issue with your state-of-the-art system and repair it there and then or even come back at a time that suits you and your business. We work across Liverpool, the Wirral, Chester and Warrington from our office based in Ellesmere Port.